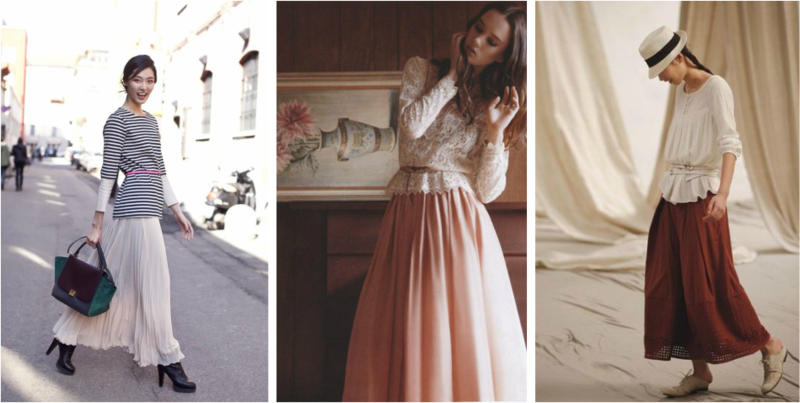 WHAT TO WEAR WITH A MAXI SKIRT? We are in the middle of summer! 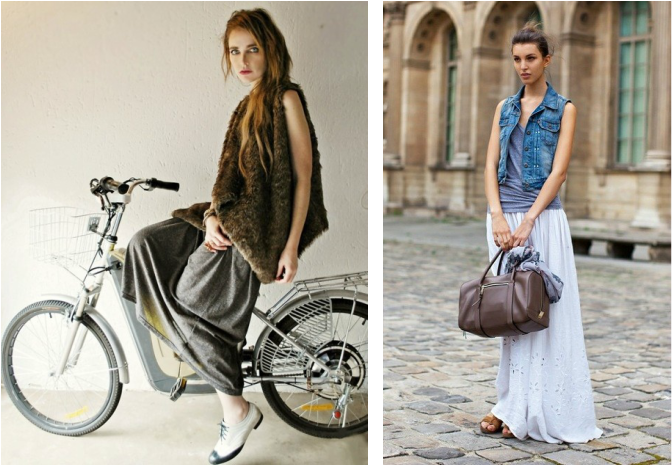 I saw many times people wearing maxi skirt already, but the variations in the way of wearing it were not many. More than that, we have a number of Moslem customers since our country population is also dominated by Moslem people. They are committed themselves to wear headscarves, which means they also want all of their arms and legs to be perfectly covered. On the other words, they are always wearing maxi skirts besides long pants. 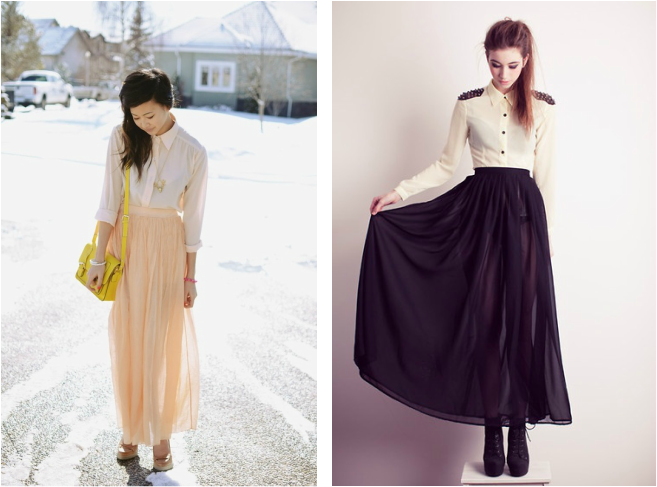 Therefore, I think why not writing about what to wear with a maxi skirt. And we are sure that you will be surprised by the long list of mix-matching provided below. * Even though most of the tops in the pictures below are sleeveless, they are replaceable with long sleeved tops. In addition to that, it is more preferable to wear long-sleeved tops only than to add a long-sleeved inner beneath a tank top, especially if you live in a country with hot weather. This pairing is a good match with high-waist maxis to lengthen your legs besides to highlight your curves. Any types of belt, from a versatile braid to an in trend metallic are worth trying. Only a metallic belt, more often than not, fits with silky fabrics or leather than cotton. 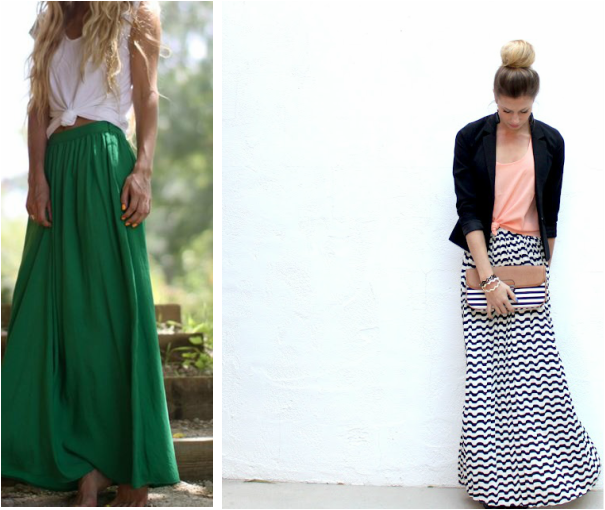 Who says that over-sized tops cannot be paired with maxi skirts, try to make a knot! This trick works even with blazer! Forget about boring pairing and try this off the shoulder top with your jersey skirts. It is an instant easy styling up! A cropped vest is more recommended than one that is under your hip except you are tall enough. 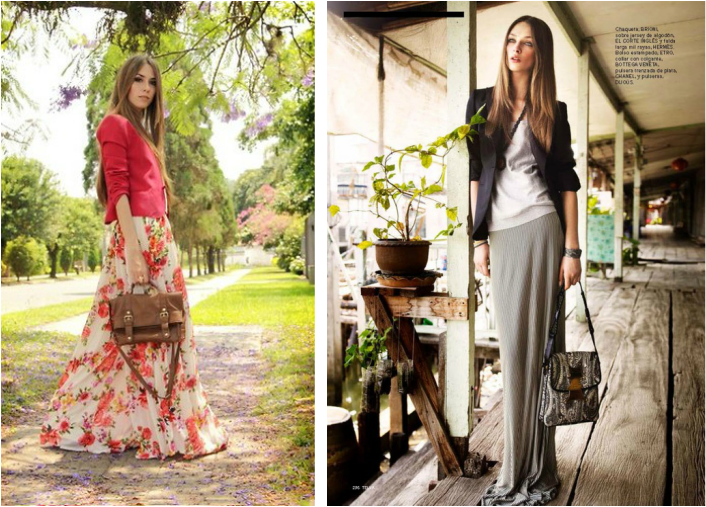 With formal type skirts, such as pleated maxi and any type made from chiffon fabrics, this style is a must try. * All pictures in this page are not my property but randomly chosen from pinterest.